We’re super excited for Syfy’s return to spacefaring miniseries with the upcoming thriller Ascension, and we’ve been eagerly anticipating some more casting news to prove that the project isn’t just some Megashark-induced fever dream. Thankfully, Cougar Town’s Brian Van Holt is joining the previously cast Tricia Helfer (Battlestar Galactica) for a lead role, so we only have to worry about another few hundred roles being filled before production gets underway. Somebody call some extras! Across six episodes, Ascension will tell the story of an alternate universe where the “true” space race was one not publicized and celebrated. In 1963, just as President John F. Kennedy is talking about putting people on the moon, the government has secretly launched the titular starship into space for a century-long mission for mankind to find another planet to populate. (That’s where the hundreds of other men, women and children come in.) But things take a fairly terrible turn midway through the trip, non-coincidentally in November 2014, when a young woman is mysteriously murdered, and it soon becomes clear that the mission is more complicated than everyone thinks it is. Take a look at the fairly creepy concept trailer below. Van Holt will star as the Ascension’s captain William Denninger, whom EW describes in the most “spaceship captain-y” ways possible. A former military man, Denninger is a strong-willed and confident leader and politician, all attributes that one probably needs when half-ruling over a bunch of people in the middle of outer space. He has quite a tumultuous relationship with his beautiful and manipulative wife Viondra (Helfer), who has a pretty virulent thirst for power that will inevitably make things more interesting and damning for both. It’s possible you’re familiar with Van Holt and have never seen an episode of Cougar Town, and that’s totally understandable, as he’s been a side character in many films and series over the years. 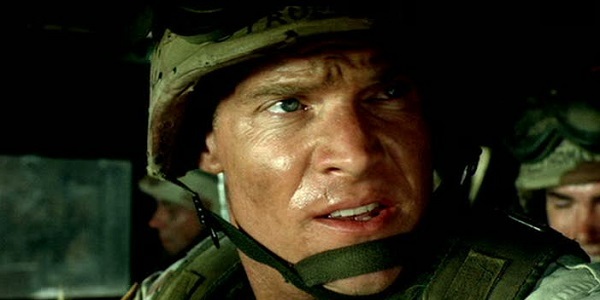 He’s got quite a bit of experience with action flicks, having starred in Black Hawk Down, Windtalkers, S.W.A.T. and, most recently, Bullet to the Head. He’s also appeared in bit roles for different series over the years, like The Middle and CSI, and has a recurring part in FX’s The Bridge. You can find him on the big screen again later this year in Jean-Marc Vallée’s Wild, which chronicles Cheryl Strayed’s real life solo hike along the Pacific Crest Trail. Ascension is the first series created by former Smallville and Knight Rider writer/producer Philip Levens, and is set to debut on Syfy at some point this November.